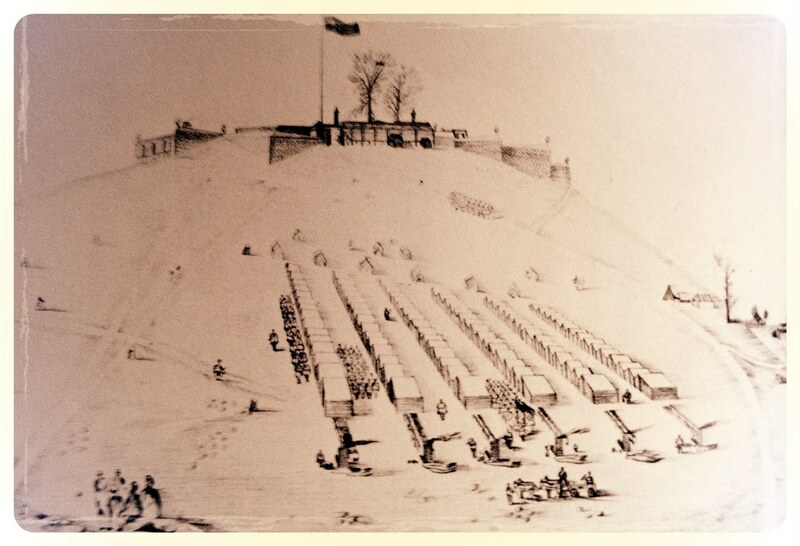 This sketch of Fort Negley was down by an unknown Union soldier. Notice the troops camped on the slopes of the hill. 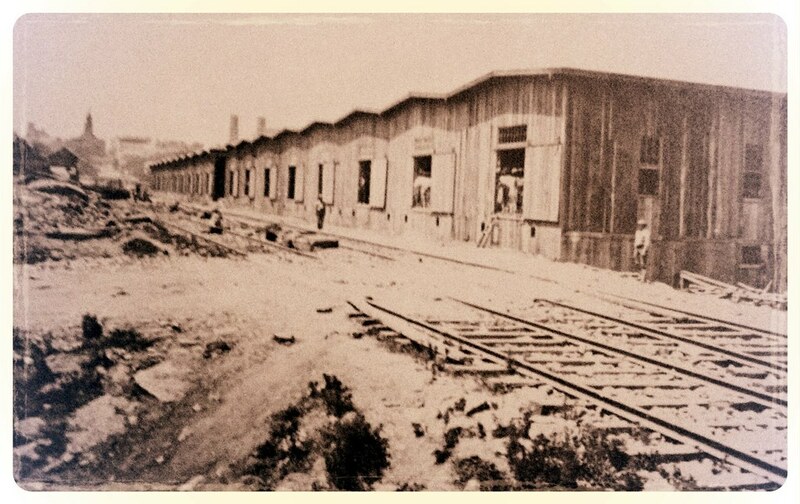 Construction was performed mostly by freedmen labor. 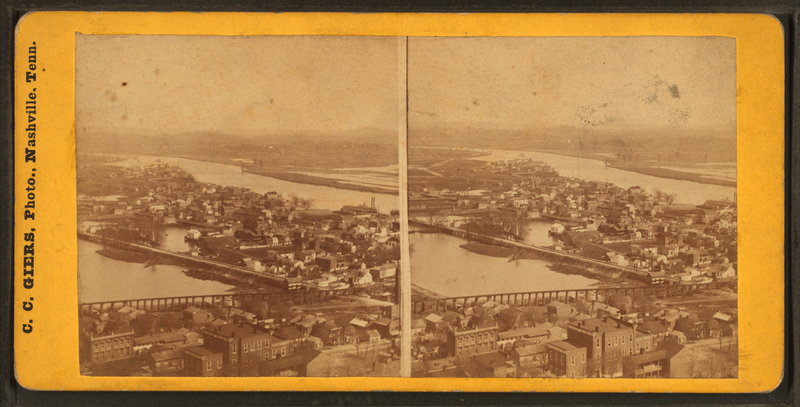 Stereoview: N.E. 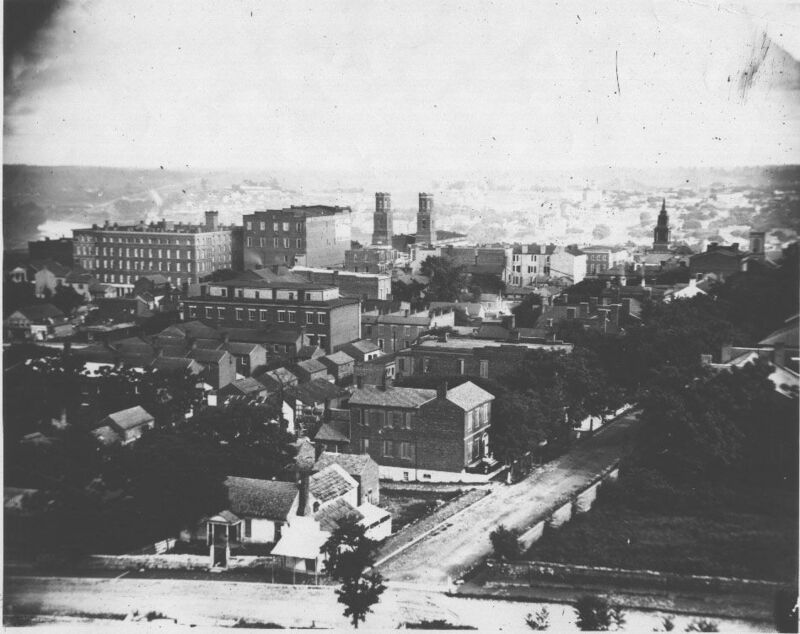 Nashville, showing Cumberland River and Edgefield, Tenn.
Edgefield sat across the Cumberland River near downtown Nashville and was a spot constantly used by Federal troops to camp within short distance of the city. Title N.E. Nashville, showing Cumberland River and Edgefield, Tenn. Date Created: ca. 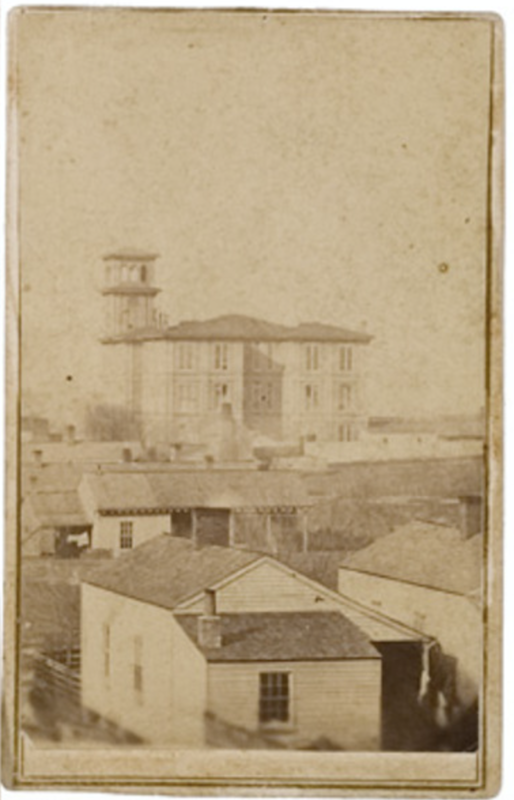 1870.Coverage: [ca. 1870].Digital item published 3-9-2006; updated 2-13-2009. 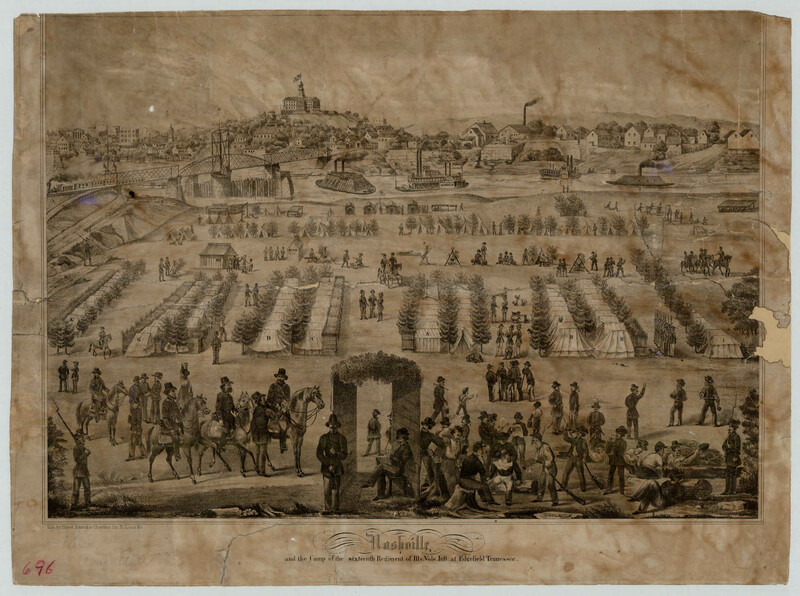 This lithograph, made in 1864, shows the camp of the 16th Illinois Volunteer Infantry. Used as Hospital No. 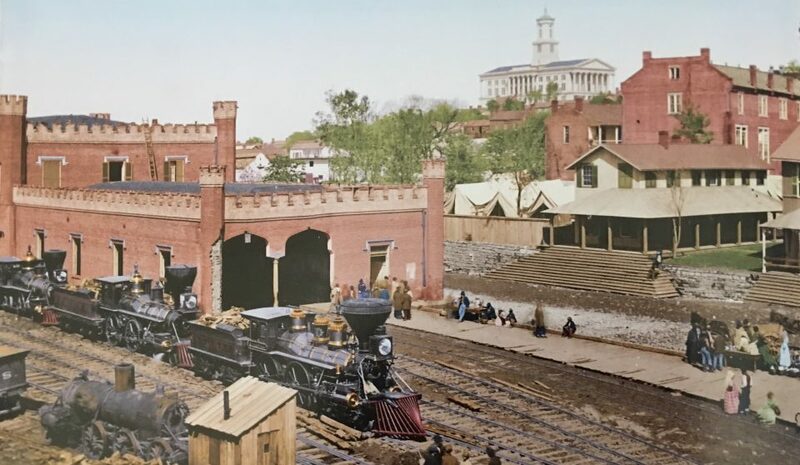 14 by the Federals during the Civil War. Sketched by A.E. Matthews, member of the 31st Ohio Infantry. Besides being used as a hospital (No. 14), it was also used by the Provost Marshal and as a shelter for refugees. 1844: The cornerstone of the present St. Mary of the Seven Sorrows was laid. 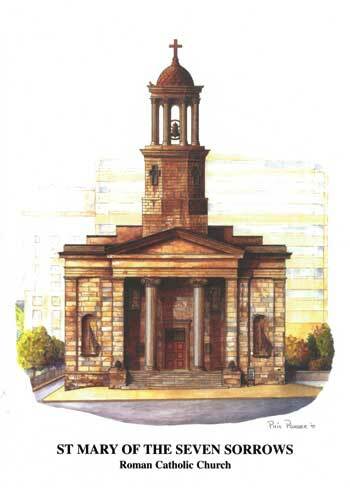 Delays and lack of funds postponed the dedication and completion of this first Cathedral of the Diocese of Nashville. Being so close to the old Church on Capitol Hill, this latter structure was soon abandoned and was turned into a hospital run by the Sisters of Charity. Fire destroyed a great part of the structure, and it was abandoned in 1856. Salvaged materials from this structure were used in the building of the Church of the Assumption in North Nashville. 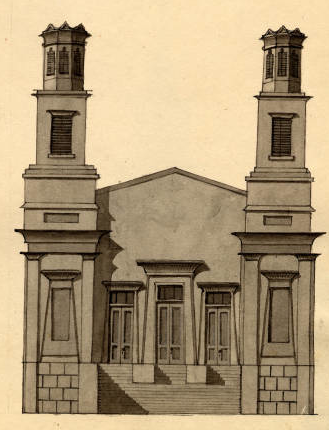 William A. Eichbaum, a Nashville bookseller, did this pen-n-ink wash drawing of First presbyterian Church and published it in a sketchbook in the 1850s. 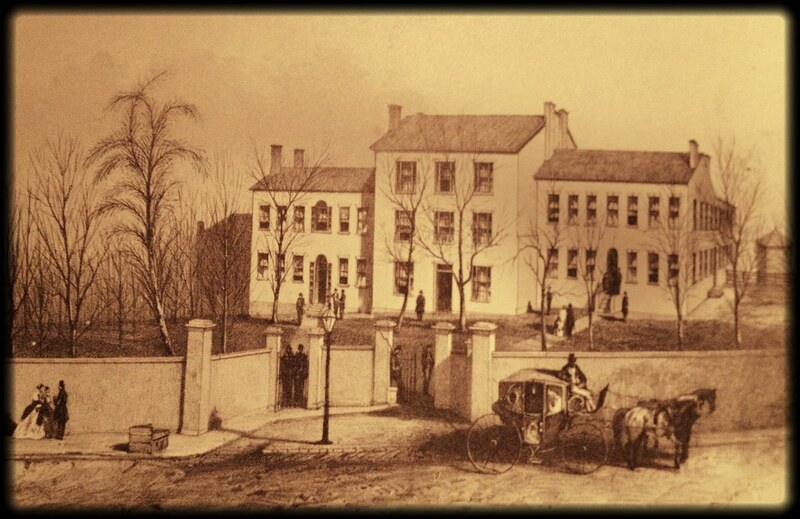 Located at present-day Fifth and Church. 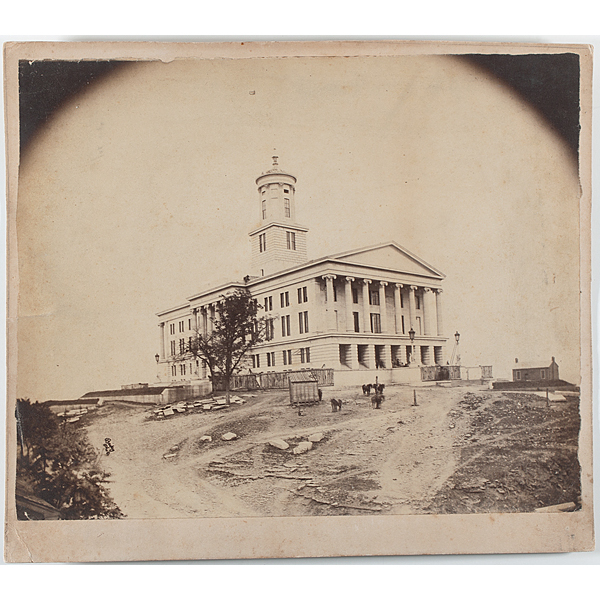 Federals used the church as a military hospital during the Civil War. The church is renowned for it’s Egyptian design. The interior is modeled after the temple to Amon-Ra at Karnak. 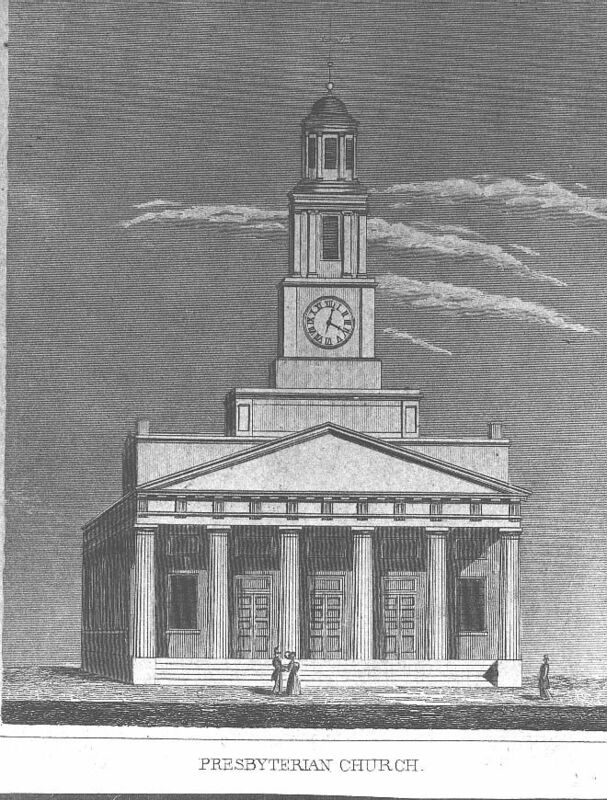 View (below) of church as it looked in 1831, their first church building.